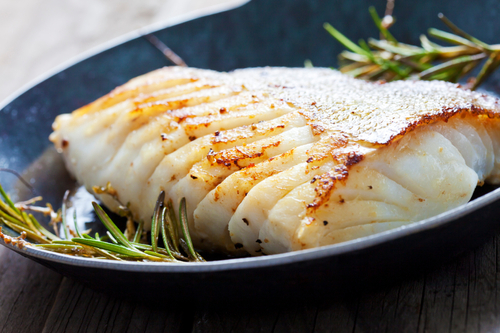 You might have already heard about the many benefits that fish could have for your health. It wards off quite a large number of chronic ailments, foe example, and it is also thought to help with skin conditions such as psoriasis. There has also been some mention of fish and fish oil helping with conditions such as anxiety and depression. Some studies have found that those suffering from depression have higher levels of omega-6s in their brains. By supplementing with omega-3 fatty acids, the chemicals in the brain were able to balance out on their own, thus lessening the severity of the depression. The omega-3s in fish are said to ward off heart disease, while the high source of protein is excellent for your hair, nails, muscle formation, and hormones. Even stress can be reduced by fish oil. A new study published by the Archives of Neurology has found yet another benefit to eating fish. Researchers conducting the study found that eating fish at least once a week can reduce the amount of cognitive decline in elderly individuals. Eating fish once a week was linked to a whopping “10% per year slower rate of cognitive decline in elderly people,” the study concluded. The researchers at the Rush University Medical Center in Chicago reviewed data taken from a different study of people over the age of 65 called the Chicago Health and Aging Project. They looked at six years worth of information, including interviews conducted with participants between 1993 and 1997. The researchers then conducted two more interviews every three years subsequent to the initial interviews. The interview questions focused on the participants’ diets, where they looked at 139 foods in particular, in addition to testing for cognitive ability. They adjusted for fruit and vegetable intake, but found that the rate of decline did not change with other dietary conditions. Cognitive decline is becoming more and more common among our aging population. Whether this is a normal part of aging or something pathological is still unknown. It is, however, a growing concern. That being said, there is hope with continuing research and studies, such as this one. While more is still being done to determine why cognitive decline occurs and how to prevent it, keep in mind that by eating a well balanced diet, including at least one serving of fish per week, you will benefit your health. In addition, fish-oil supplements can help to prevent other ailments as well. Speak to your doctor in order to determine which type of supplement is best for you.